7. Honey Smacks cereal was recalled because of a Salmonella Mbandaka infection but not before it resulted in 135 reported cases in 36 states and 34 hospitalizations but no deaths. The age range of the infected was from 1-98 with a median age 57. So, it is not just children who enjoy this breakfast cereal. From the report it is not clear if the problem was with honey which is likely to be more susceptible to microbial contamination than sugar. Sugar Smacks was one of my favorite cereals as a kid, but I have never tried Honey Smacks. 6. Kratom is an herb known for it’s mind-altering properties. It is a plant and it’s leaves are chewed to relieve pain, depression and anxiety. It is considered a stimulant and an opioid substitute. DEA had concerns about safety and efficacy, and it is currently illegal although books about it’s “beneficial” properties can be ordered off Amazon. 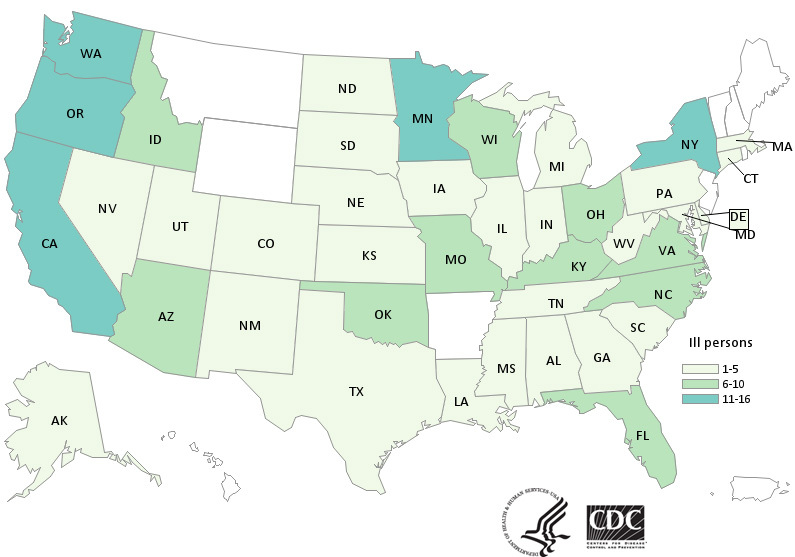 The outbreak was also due to Salmonella infection with many species implicated and led to the reporting of 199 cases in 41 states with 50 hospitalizations but no deaths. Contaminated products were recalled. 5.Salad mix at McDonald’s contaminated with Cyclospora cayetanensis led to 511 cases in 16 states and 24 hospitalizations but no deaths. The infections were mostly in the Midwest states. There was no recall as the company voluntarily stopped selling salads. A romaine-carrot mix was implicated, but no single source of contamination could be identified. McDonald’s replaced the supplier of the contaminated salads and resumed selling salads. This outbreak shows the danger of a wide distribution of product infecting a large number of people before can be detected. It also demonstrates the benefit of having one company distributing and selling all of the item and halting all sales. Further, fast food companies appear to be much better at maintaining safety of frozen, cooked and processed foods than fresh items like salads. 4.Ground beef accounted for 403 cases and 117 hospitalizations in 30 states resulting in a recall of meat from a single supplier. Salmonella Newport was identified as the causative agent. Apparently, this ground beef was either undercooked at home or could have infected consumers by cross contamination through a common utensil or cutting board. The meat could have been thoroughly cooked, but items such as salad ingredients could have come in contact with its raw juice. Cross contamination is one of those things that freaks out anyone paying close attention in a food microbiology class, but is generally mocked by critics of the food industry who are not interested in such arcane safety precautions practiced in restaurants. 3.Chicken salad from grocery delis of a single chain produced by a single supplier was contaminated with Salmonella Typhimurium. Infections were noted in 265 cases from 8 states leading to 94 hospitalizations. 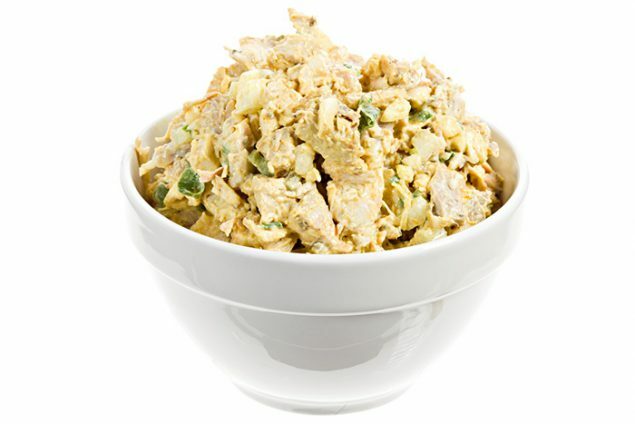 The chicken salad was recalled, a process made easier as it was confined to a single chain but not before a death was recorded for the outbreak. 2.Raw turkey from many different sources either in raw pet food or the raw ground containing infectious levels of Salmonella. One death was recorded out from 279 cases and 107 hospitalizations in 41 states. Illness was spread through cross-contamination as noted above with ground beef. A recall was instituted even though the health officials could not identify a single raw turkey supplier. 1.Romaine lettuce was the cause of the most publicized and most serious of these 2018 outbreaks. E. coli O157:H7 infections were observed in 36 states resulting in 96 hospitalizations of a total of 210 cases. Five deaths were attributed to this outbreak. 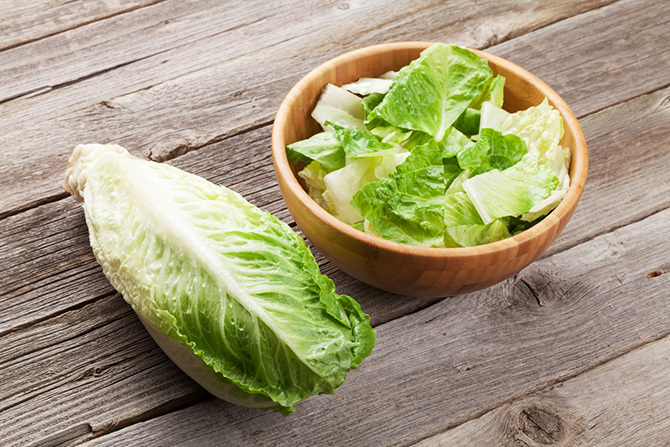 Although there was no recall, news outlets encouraged consumers to avoid romaine and restaurants stopped using the lettuce in their salads and other dishes. The deaths observed were due to kidney failure. The contaminated material was narrowed down to the Yuma, Arizona growing area. A task force has been formed to develop voluntary labeling to facilitate recalls of leafy green vegetables. One outbreak involved an herbal supplement—should these be closely regulated or should we let the buyer beware? Illnesses resulting from fast food restaurants led to the highest number of cases probably because more people are exposed and it is easier to track down these customers.